A great way to beat your fellow bargain hunters is by deliber­ately ‘misspelling’ what you’re looking for. This means you can find the bargains everyone else misses when they search using the correct spelling of the product or brand they want. The website www.goofbay.com has its own misspelling checker to flag up potential eBay bargains, or you can deliberately type in an incorrect spelling yourself to see what comes up. There are other websites you can check for alternative spelling suggestions, too, such as www.fatfingers.com or www.auctionspeller.com. If the spelling is incorrect, do check the item being sold is origi­nal. It is worth messaging the seller first, to make sure that what they’re selling and what you think they’re selling are one and the same thing. 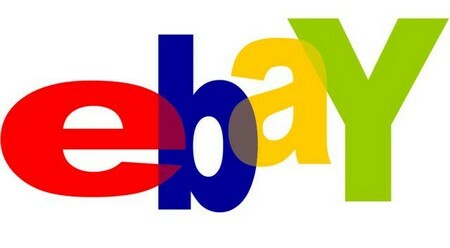 To find items with no bids, go to www.auctionfinal.com; and if you’re after a specific item but can’t find it, put details in the ‘favourite search’ option on eBay and you’ll get a message if the item comes up for sale. Don’t miss out on bargains because someone pips you to the post. As a buyer you enter your bid and the maximum you’re pre­pared to pay. Once you’ve put in that maximum amount the eBay system puts in your bids up to this amount. To stand the best chance of winning, avoid round-number bids as your maxi­mum, such as $4.50 or $10.00, which other people may go for; you’ll stand more chance of being successful if you try more obscure bids, such as $5.73 or $7.03. Almost a third of bids happen during the last five minutes of an auction, and it’s frustrating to watch online when you’re pipped to the post in the final seconds by a higher bidder. There are now websites that will enter your bids in the closing seconds of the auction. Go to www.goofbay.com and type in what you’re bidding for and your maximum price; it will then enter that bid in the final closing seconds, so other bidders aren’t alerted to your bids beforehand. It’s a free service, though you’ll need to register your details on the site first. With large items you’ll often be expected to collect in person, which should be flagged up with the item description. But you can cut your postage costs by asking to collect items whenever the seller lives locally. Message the seller prior to bidding to ask if they’re happy for you to do this if you’re the highest bidder. They may not always agree, but it is worth asking as it can save you money on post and pack­ing. Depending on the potential postage cost, arranging to collect can make the difference between a good deal and a poor deal. A handy website to help you out is www.localbargainfinder.co.uk, where you type in your postcode, what you’re after and how far you’re prepared to go for it and it comes up with a potential list of booty in your area.